Important notice: Jonathan Scott will be joining you on this safari. Read more for all the details. 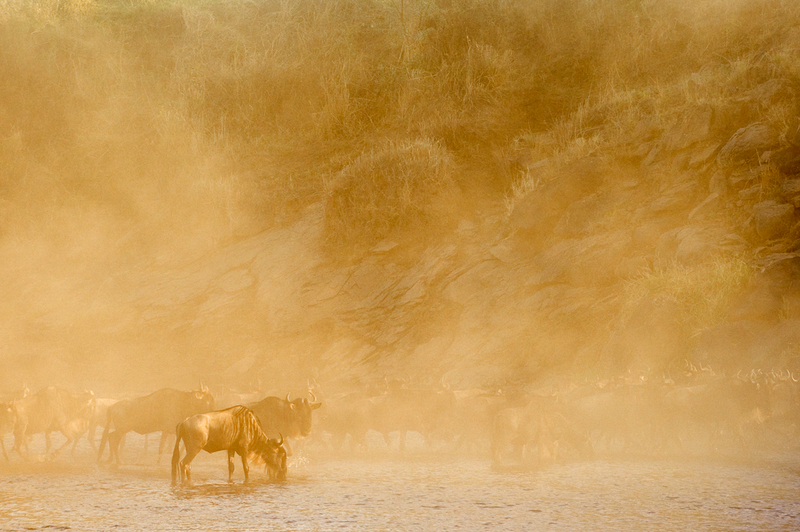 Each year during the dry season tens of thousands of wildebeest and zebras mass at favoured crossing places along the Mara River in Kenya’s fabled Maasai Mara Game Reserve. A river crossing is one of nature’s great spectacles and a highlight of any safari. C4 has reserved a small, intimate and private camp in the heart of the action in perhaps the best time of year to see this phenomenon. 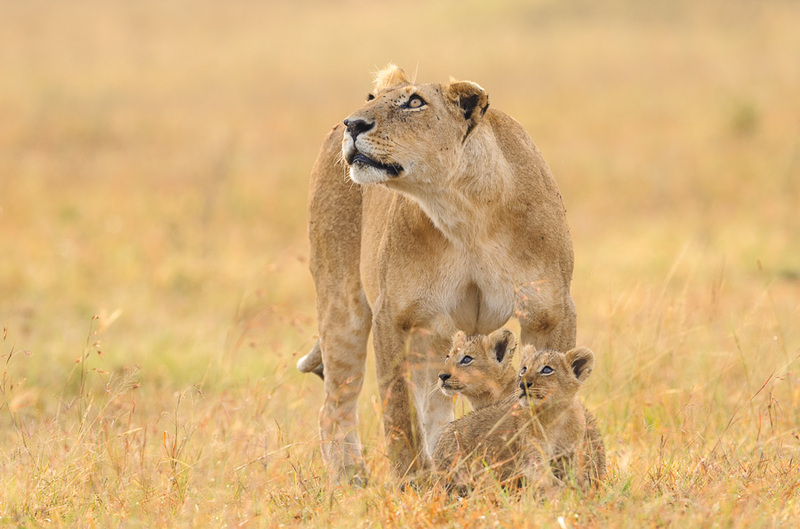 This is C4 Photo Safaris eleventh consecutive year leading photo safaris in the Masai Mara. We have always believed in leading from the front and so for our 2018 season Jonathan Scott will be joining us for this entire safari. You will be hosted by this legendary wildlife photographer and conservationist who has spent 40 years documenting the ecosystem and its spectacular big cats. Jonathan and his wife Angela are the only couple to have both won the overall BBC wildlife photographer of the year award as individuals; they have written numerous books on the Mara and have produced many TV shows. The most well known being BBC’s Big Cat Diaries which was a worldwide success. Their latest book Sacred Nature: Life’s Eternal Dance (HPH) won the Gold Award for Photography in the IPPY Book Awards 2017. The Mara is home to the ‘greatest wildlife show on earth’, and C4 are proud to be offering the best photo safari at the heart of the action. Its simple really - find a camp in the perfect setting, book it for our photography clients with the premier photo camp operator and then have C4’s professional photographers personally guide you whilst on safari. C4 guides have more than 30 seasons in the Mara and they have mapped their own special places and secret spots to share with you. There is so much to see and photograph and with C4’s professional wildlife photographers as your guides you will always have the best positions available. You will not only get to experience the migration, but also the beauty, freedom and wilderness of one of Africa’s greatest ecosystems. On this safari, there will be 3 vehicles with a maximum of 2 clients per long wheeled based vehicle, ensuring that everyone has ample room to photograph from. In addition, you will have one C4 Photo guide with you at all times. This is the greatest benefit of an exclusive Mara Safari. You have ample space in a vehicle and are constantly guided by a C4 Photo Safaris guides. If more than 6 clients book, then a 4th guide will join the safari. C4 Photo Safaris have negotiated a camp right in the heart of the action, in the middle of the Mara. The camp has a major Wildebeest crossing right in front of it, so you may be lucky to have a crossing while enjoying lunch one day! The camp is inside the Masai Mara reserve within a view of a main crossing point. You are just 10 minutes from the main crossing points and 20 minutes from the other crossing points. Many camps are at least 60 minutes from these central areas. The camp is positioned between the two main rivers- the Talek and Mara rivers, meaning easy and fast access to the most productive game viewing areas. 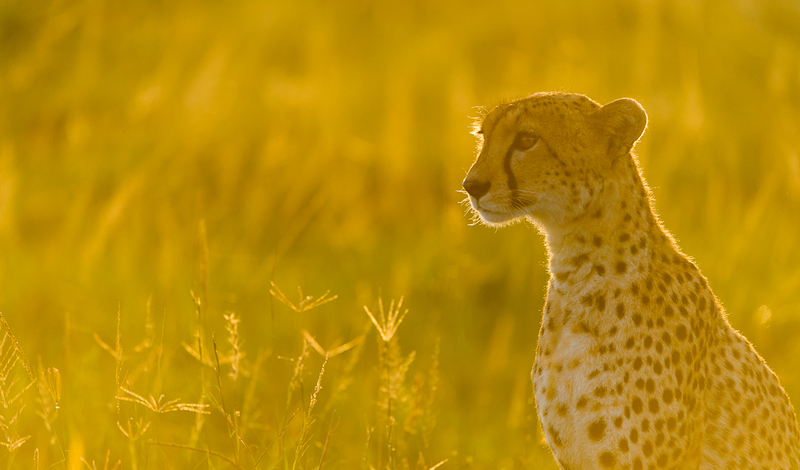 Our driver guides have been working with C4 Photo Safaris for 10 years now. They have an excellent knowledge of working with C4 Photo groups and can anticipate the best positions for photography. We will have 3 x Land Cruisers for our use. There will be 2 photographers per vehicle. Non-photographers can share the same bench as the photographer, or sit in the front seat. 8 clients are the maximum we will accommodate on the safari and 6 is the minimum. A C4 Photo guide will be with you on each drive. The camp is a permanent tented camp with flush toilets and hot water showers. For each tour, we have organised a minibus that will take our cargo luggage from the Radisson Blu Hotel in Nairobi to the Camp and back again upon return. This alleviates the weights restrictions in the below point. Radisson Blu Hotel Nairobi, Kenya. Arrive in Kenya’s capital of Nairobi in the early afternoon. A 20-minute road transfer will take you to the Radisson Blu Hotel. You will spend the evening in the new and modern surroundings of the Radisson Blu Hotel. Our C4 photo safari guide will make contact with you at the hotel to arrange dinner for the photography group and discuss the logistics of the following morning. We depart for the Masai Mara at 10am on a scheduled flight and we touchdown at Ol-Kiombo Airstrip after a short 1-hour flight. From there we are transferred by road to our base camp situated in the actual Mara itself. You will be staying in a classic East African style safari camp consisting of canvas tents, staffed by local Maasai. You will have en-suite bathrooms with flush loos, flowing water and hot showers. That afternoon we will enter the reserve for the first time and sample one of Africa’s greatest ecosystems. 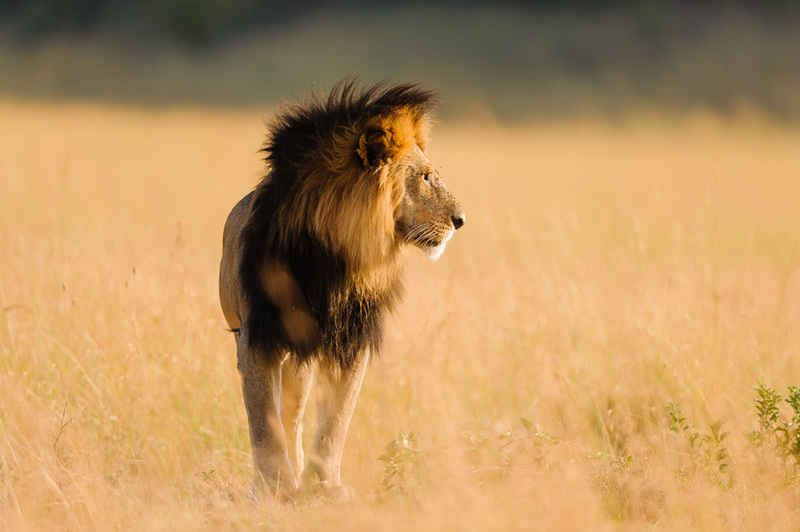 For these five full days, we will focus on showing you the best of the Masai Mara and this will include tracking the migration and getting to the heart of the action. You will be taken out each morning at first light. We will have Toyota Land Cruiser vehicles with roof top hatches and large windows from which to photograph. Each client will have their own row in the vehicle with open windows and hatch, ensuring that everyone has ample room to photograph from. Brackets, braces and clamps can be fixed onto the rails on the vehicles for tripod heads and flash brackets. Everything is designed to aid your photographic enjoyment. The evenings will be spent sitting around the camp fire and dining on excellent camp cuisine. As the coals die down, the warm camp beds beckon and everyone retires to bed. The aim of this photo safari is to help you take amazing photographs and improve your own photography, no matter what level of photographer you are. The C4 photo guides will help you and during the safari will also present a series of photo critiques, Lightroom and other slide show sessions in the evenings. These are always immensely popular and helps our clients gain some insight into the skill levels and experience of our guides- who easily impart their knowledge to you. A convenient base for your safari or business trip in Kenya, the new Radisson Blu Hotel Nairobi, Upper Hill stands in the heart of the fast-growing business district. The hotel is just a 20-minute drive from both the airport and Nairobi National Park, a well-known wildlife preserve with herds of zebras, wildebeests and giraffes. Our 271 rooms and suites offer thoughtful amenities like Free high-speed, wireless Internet and a mini bar along with lovely city or park views. Try our Super Breakfast for sufficient energy and nutrition to kick start your day! It includes excellent coffee, tea, freshly made bread and pastries, cereals, egg and pancake station, fresh orange juice, yoghurts, hot and cold cuts and our signature “Morning Mary.” Dine on international classics and Kenyan dishes anytime in the Larder, or savor an African-inspired meal beside. The camp is in perfect harmony with the environment and whilst it is heavy on personal comfort it leaves a light footprint. This Gold Eco-Rated camp is dismantled every year and removed for two months to allow the fauna and flora to regenerate. This traditional East African camp evokes the romance of safaris from a bygone era. The elegant tents form a tranquil oasis perched strategically above the mighty Talek River. The sweeping views from camp take in the surrounding plains, which support some of the greatest concentrations and diversity of wildlife in Africa. Rekero is an intimate, comfortable and relaxed riverside safari camp where you are enfolded by the surrounding African wilderness. Hippos grunt in the pools below, the smell of wild sage drifts through the air and herds of wildebeest often can be seen crossing the Talek River from the main deck. This blissful location means that fantastic game viewing can continue, even when relaxing in camp. The friendly and highly skilled camp crew have worked together for many years; together with our internationally recognised guiding team, they create a truly insightful safari experience every time. Rekero’s nine spacious tents are laid out along the river’s edge under a network of shady trees. Designed in classic safari style with a fresh, contemporary edge, each tent has an en-suite bathroom with hot-water safari bucket shower and flushing toilet. To make them even more comfortable, each tent has a large private veranda with an inviting day bed or couch where you can take in a view of the river, attended by a private butler. Arrive at Jomo Kenyatta International Airport, Nairobi, Kenya. You will be met by a Radisson Blu Hotel representative and you will then be transferred to Radisson Blu Hotel for one night stay. After breakfast you will be transferred to Wilson Airport for your scheduled flight into the Maasai Mara Game Reserve. Upon arrival in the Maasai Mara you will be transferred to Rekero Camp for your 6 nights stay. After your last game drive and breakfast at Rekero you will be transferred back to the airstrip for your scheduled flight back to Wilson Airport. From here you will be transferred back to Jomo Kenyatta International Airport in time for your international flight. This is the end of your safari. Maximum of 8 clients, minimum of 6 clients, there will be 3 vehicles with 2 clients per vehicle. There will be three C4 Guides that will rotate between the three vehicles. If more than 6 clients book, then a 4th guide will join the safari in order to keep the ratio of clients to guides 1:2. The services three of our guides. 1 night at Radisson Blu Hotel with full board.